I recently had the privilege of speaking to an audience of over 100 people for a community conversation about youth mental health. As I shared my story once again, I had to remind myself that if I could reach even one person, it would all have been worth it. A few days after my presentation, I received a deeply personal and profound email from a mother who had been silently sobbing in the back of the room that night. Her words were not only those of pain and isolation, but also of hope and inspiration found when another mother reached out to let her know she was not alone. She reached out to let me know that she wanted to help other parents, too. Far too many families feel isolated and powerless when their children are struggling with mental health problems, and that isolation and fear is intensified during a crisis that is both life-threatening and life-altering. We are excited to share with you this heartfelt blog post – a testament to the power of storytelling and of parents helping parents! They are such trite words, but they feel appropriate in this context…. I was shocked. Appalled. Stunned. In the midst of my daughter’s crisis, I didn’t know what to do. I’m a mother. Aside from making ponytails, scratching backs and plucking that hard-to-get eyebrow hair, I’m supposed to have a plan – or, at least, have access to the resources to learn enough to make a plan. My daughter was lying in a hospital bed, shaking and wide-eyed from the effects of her intentional overdose. She was looking up at me, holding on to me with her gaze, while her body trembled uncontrollably. She looked resigned. Not resigned to death. Resigned to, at last, allowing others to take control of what she now knew she couldn’t manage alone. Resigned to making full and knowing eye contact. Resigned to allowing herself to be seen. No matter if it was by choice or by necessity, she was putting down the baggage that had become too heavy to carry alone. She was accepting help. All with her eyes, looking at me from that frail body. She was depending on me to tell her “it” will be alright – not “IT” as in the rest of her life, but lower-case “it” – just the coming days and weeks. To tell her what those days and weeks might look like. And I had no clue what to tell her. No clue whom to call. No clue which “program” would be best for her. No clue where she might go when she left the hospital. As her mother, I will, without hesitation, take on any burden that she cannot bear. I will support her while she unpacks that too-heavy baggage, and do whatever it takes to help her sort through it with care and respect, and repack it lovingly when she’s ready to carry the lightened load. In a medical emergency, I know what to do. I have options and choices and Facebook groups to consult, and friends to email for advice. I have a pediatrician who has known my children their whole lives. I know a little about CPR. I understand how to perform the Heimlich maneuver, to staunch bleeding, to elevate legs above the heart and to take a croupy kid outside into the cold air. I know enough to ask good questions, to make an educated plan, and to take action. In this case, I had already used every tool in my Mom-kit: I had called 911. That was it. Turns out, the Mom-kit doesn’t come with a single tool to help a child with a mental health emergency. I was on my own. She had been in the care of a therapist and psychiatrist for nearly a year. We had gotten her the best treatment we could find. We trusted, and still trust those professionals and their decisions. But it had not worked. So, when she was looking up at me from that bed in the ER, waiting to be admitted to cardiac ICU for monitoring, what could I tell her? She’s 14 and deserves -needs- the truth. I had nothing to say. No plan. No idea. I felt like a patient too – hanging on every word the technicians and nurses and doctors said. It was always a one-way conversation, though, because I didn’t even know what to ask. A couple of mornings after, I was sitting in the empty children’s playroom near her hospital room, crying, still wondering what to do. I felt stupid as I Googled topics like What To Do When Your Child Tries To Commit Suicide and Where Do Suicidal Kids Get Help. I Googled local mental hospitals and read patient reviews (which, we all know, don’t paint a reliable picture). That’s all I knew to do. It obviously wasn’t enough. Then my daughter’s friend’s mother texted. I didn’t really even know her. We were friendly and acquainted – had mutual friends, and had seen each other at a few events around town over the years, but had never had more than a “hello” conversation. She had to identify herself in her text because she wasn’t in my contacts. She texted, “Call me if you’re up. Wanted to share some information that may be helpful for you today.” I called her right away. She told me about her struggles with her children. She told me how she and her family handled those worries. She told me which programs helped them. She told me that her children are managing beautifully and are okay. She said all the scary words. And she had her children’s permission to tell me. She let me know that I wasn’t the only one. I cried and cried to her – with anguish, of course. But also with relief. I wasn’t the only one. I wasn’t the only one. I wasn’t the only one. That morning, I had been falling. She caught me. Just by telling her story to me, she gave me hope and companionship. By telling her story, she showed me that there are options and that there is care and that there is a path to stability and good health. And by giving me hope, she enabled me to give hope to my daughter as well. I will forever be grateful for what she did. And I want to do that for others. First of all, thank you, Karen and Randi for sharing this information. There are far too many similar stories that continue to go unheard or have never been shared. Real, honest communication is indeed the first step. Fortunately, The Youth Mental Health Project has taken on this mission and is making tremendous strides. Even though my daughter is almost 24, I consider TYMHP one of the most valuable resources in my tool-kit. I talk to everyone I know about TYMHP. Because like so many other parents who have an adult child with mental illness, I can’t help but say “if only.” If only I had knowledge and access to this information years ago, I’m sure it would have saved my family a lot of time, heartache and money. Although we can’t go back and have a re-do, we do move forward with confidence and pride. We continue to educate ourselves and do the best we possibly can so we can help pave the way for those behind us. TYMHP continues to lead by example and reinforce there is help and hope. We are not alone. This story sounds so similar to my own family’s mental health ordeal. Another parent reaching out in a moment crisis made all the difference for us. It was actually life-changing, as it led to us finding the perfect school for our child. It is a great comfort to know we’re not alone in this. Thanks for sharing your story, Katherine. And it’s great to see that YMHP has a blog now! Thank you for sharing, Katherine and Randi. It’s very well-written, and I’m wiping away tears, because it took me straight back to the hospitals I was in, last year, at my son’s bedside. It was the open-hearted call from a friend of a friend, and her generosity of time, spirit and knowledge that led me to giving my son the help he truly needed. I have several networks of parents now, but we are all one; all willing to help support and share with any one at any hour. Because we know the anguish. Knowing we are not alone is everything! Renae, thank YOU for sharing your thoughts and your story! From my own experience I can tell you that finding other parents like me to turn to not only saved my life… it saved my son’s. In the depths of despair, I found a small handful of moms that gave me the strength I needed. That small group was the spark my friend, Pam, and I needed to create a support group for other parents in our community, which has helped thousands of families over the past 12 years. And the power of that one local support group, watching parents come out from isolation, find strength and resources from other parents, and help each other, was the inspiration for the development of The Youth Mental Health Project, the creation of NO LETTING GO, and the recent launching of The Parent Support Network. Why should parents suffer alone when there are so many others around us who have had similar struggles?! The dream is that our work will make it easier for parents across the country to find other parents in their own communities who understand and can support each other! You are so right, knowing we are not alone is everything! 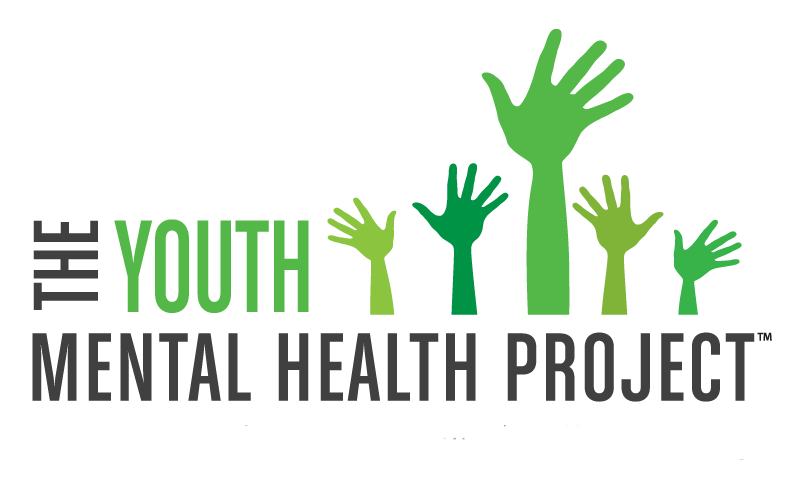 PS – If you’d ever like to contribute to our blog in any way, please email me at Randi.Silverman@ymhproject.org.